In the run up to the festival, we always get lots of inquiries about camping gear. However, when camping at Fuji Rock, your first concern should be whether you’ve bought a camping ticket…or not. If you haven’t, you’d better get on that – Naeba is not the place to try roughing it. If you’re attending the festival from overseas and are wondering if you can pick up camping equipment in Japan, here’s a brief guide to shops in Japan catering for your needs. Big brands such as Mont Bell and Patagonia have outlets in Tokyo and Yokohama. We’re going to assume, though, that if you’re buying equipment when you get to Japan, you won’t want to be paying through the nose for it. If you want nice branded goods, you’d do better to buy them at home and bring them with you. Stores specializing in the great outdoors include Oshmans and Victoria/L-Breath, ICI Ishii Sports and Kojitsusanso . All have a large selection of brands to choose from and are located in Harajuku, Shinjuku, Kichijoji and many more accessible locations around Tokyo and further afield. Slightly cheaper places to grab goods include Don Quixote and Costco and even larger branches of supermarkets like Seiyu. Beware that you will get what you pay for in these places. Major high street retailers like Loft and Tokyu Hands also stock camping gear. Online you can try amazon.co.jp, Rakuten and Aliexpress. You could attempt to have items delivered to your accommodation or a nearby convenience store, though this may not be the best option as delivery times cannot always be guaranteed. Find out first if your accommodation is willing to accept deliveries on your behalf before placing any orders. Camping around the Daydreaming area. 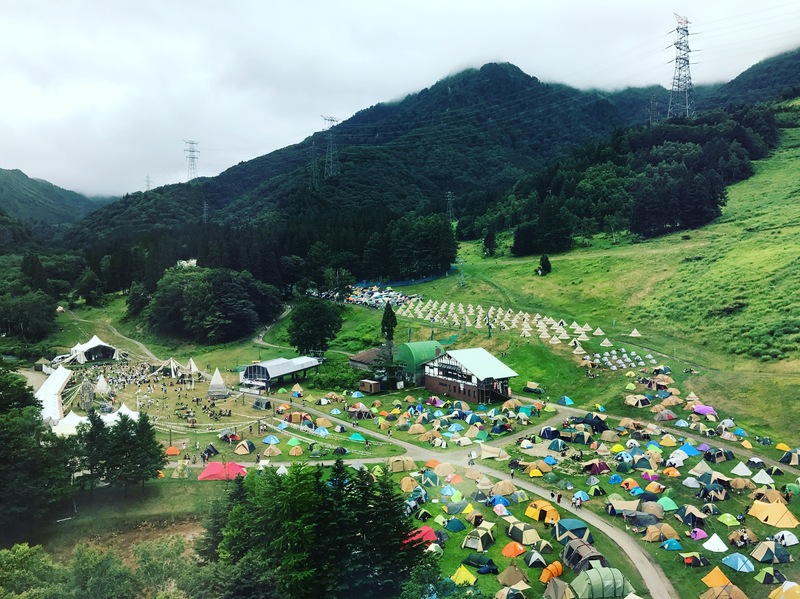 For those of you thinking about attending in the future, there is a tent rental service at Fuji Rock, which is delightful, not only because you don’t have to lug a tent with you to Naeba, but also because someone else will have already erected it for you. If you fancy this option next year, spaces sell out fast. Check the Ganban website for details next time round as this year’s spaces are sold out. Be sure to leave yourself enough time to get sorted; buying a tent the day before you hit the festival is probably not the best idea, especially as there are going to be a fair few other people with exactly the same idea as you. It’s probably a good idea to do some searching on websites before you go shopping so you can get an idea of availability and price and be aware that the websites will most likely have more availability and range than the stores. Another factor to consider is the temperamental mountain weather. Fuji Rock is a notoriously soggy affair most years, but has also been known to be blisteringly hot. Pack layers, pack waterproofs (and I do mean waterproof not water-resistant) and sunscreen. Take note of the location – mountains. While we’re not going to summit massive peaks or need climbing gear, flip flops are not going to cut it…well, something will get cut, put it that way. Fuji Rock is not known for it’s fashion, and that has much to do with the practicalities of the location as much as the pragmatism of Fujirockers. A good sensible pair of Goretex hiking shoes/boots wouldn’t be a bad choice. 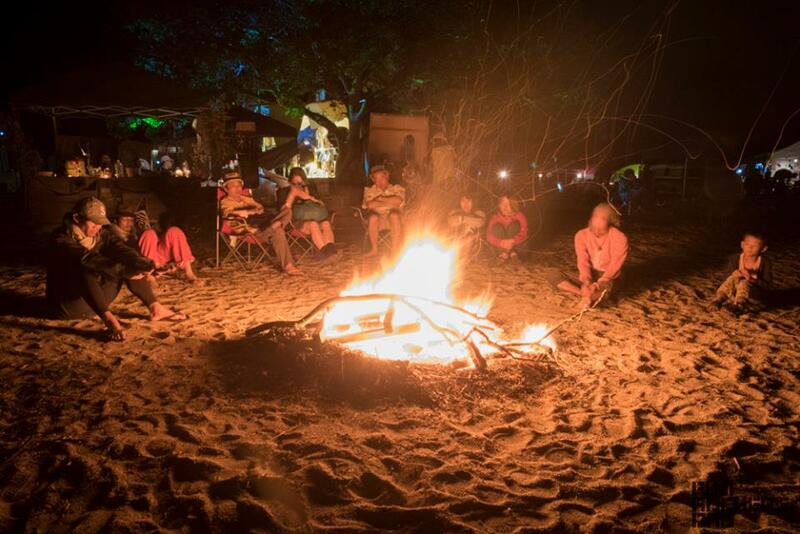 Most important is what you plan to do with your camping equipment once the festival is over. Given that a lot of equipment can be bought cheaply, in recent years there has been an increase in the amount of camping gear being abandoned at the end of festivals. This is dismaying on a number of different levels, not least because Fuji Rock is regularly cited as was of the cleanest festivals around and is in a beautiful location. Please take all of your camping gear with you and leave the site cleaner than when you arrived.